A misguided sense of obligation drove me back into the theater for the fourth, and final (? ), entry in the Insidious franchise, called Insidious: The Last Key. 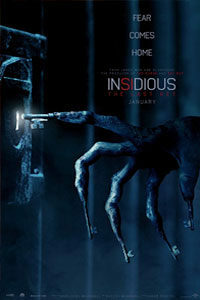 The series started in 2010 with James Wan’s Insidious, a tense and disappointing supernatural horror yarn from Blumhouse Productions. Two forgettable sequels—Insidious: Chapter 2 (2013), Insidious: Chapter 3 (2015)—followed suit, complete with the usual blend of demonic torment, creepy children, nursery rhymes used for nightmare fuel, jump scares, and dopey characters chasing after sounds and shadows in the dark. It’s all typical stuff for Blumhouse, the production company that specializes in low budgets, high returns, and overstaying its welcome with too many sequels to Paranormal Activity (2007) and The Conjuring (2013). And yet, after seeing every entry in the Insidious series, I could not help but feel compelled to see the latest chapter and, while approaching it with a resigned shrug, remain fully aware that Blumhouse has every intention of following their established template to the letter. From the start, the primary draw of the Insidious movies has been Lin Shaye, the 74-year-old actress whose brother Robert started the independent studio New Line Cinema back in the 1960s. Shaye made brief appearances in the studio’s most memorable hits, such as A Nightmare on Elm Street (1984) and Critters (1986), earning a reputation among horror fans as a supporting-level scream queen. Today, she’s become a Blumhouse regular, largely due to her portrayal of medium Elise Rainier in Insidious and its sequels. Her alert and committed presence in these titles has allowed viewers to take seriously her most outlandish exposition about The Further, the resident netherworld she calls, “A world far beyond our own, yet it’s all around us. A place without time as we know it. It’s a dark realm filled with the tortured souls of the dead. A place not meant for the living.” Shaye’s passionate delivery of such absurd lines somehow makes them believable, which explains why she’s perhaps the only septuagenarian performer capable of carrying an entire horror movie. So when Elise says, “My presence tends to draw the spirits out of their dark little corners,” she’s speaking about her fans as well. Insidious: The Last Key delves into the personal history of Shaye’s Elise. After a lengthy opener about her upbringing and abusive father (Josh Stewart), who tried to beat her sixth sense out of her, the script by series creator Leigh Whannell returns to the present day to find Elise still living with the physical and psychological scars of her childhood. 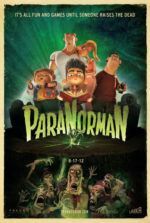 Operating a ghost hunter outfit called Spectral Sightings alongside her fellow paranormal investigators, the hapless Specs (Whannell) and Tucker (Angus Sampson), Elise receives a call from Ted Garza (Kirk Acevedo), the resident now living in her childhood home in Five Keys, New Mexico. Ted claims the house is now haunted. When Elise and her team arrive to investigate, they discover Ted is a creepy loner who lives among the dusty furniture and old Bibles left behind by Elise’s family. Our uneasy feelings about him, which go impossibly unshared by Elise and her team, prove founded. Elise wanders around in the dark, searching for the spirit haunting her childhood home, while Specs and Tucker safely observe her progress from their ramshackle mobile command center. 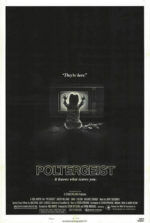 Director Adam Robitel, another Blumhouse regular, maintains tension by alternating between Elise in the house and her body mounted night vision video feed, which shows ghostly movement she cannot see. To be fair, the audience will have trouble seeing too; cinematographer Toby Oliver shoots in heavy dark blues and shadow, making most night scenes inscrutable (Oliver also shot Get Out, which looked outstanding, and the divergence of styles speaks to how much the director’s input informs formal choices). A predictable twist complicates matters, forcing Elise and company to deal with a psychopath and a haunted house. She eventually learns that both her childhood and present-day horrors are connected and, to some extent, they involve her estranged brother (Bruce Davison), two nieces (Caitlin Gerard, Spencer Locke), and a malevolent demon (a slimy, twitchy, jittering monster with key fingers). The movie’s attempts at comic relief, designated to Specs and Tucker, are downright painful, while the scares are mostly nonexistent aside from a single, jolt-worthy jump scare. For those entrenched in Insidious mythology, there are several revelations in Insidious: The Last Key, some of them making reference to ill-remembered events from the other chapters. Will you remember the others well enough to grasp the significance of the revelations here? I didn’t. Robitel and Whannel clearly attempt to connect some dots throughout the franchise; however, only the most devoted will be able to the put the confused timeline together—which assumes that the timeline fits together at all, and I’m not convinced it does. Nevertheless, what works about the movie works because of Shaye. She has a way of evoking our terror in her face. She’s also a physically small woman, and when she trembles, so do we. Moreover, she’s a rare strong female character who’s also a senior citizen. How often does that happen, especially in a movie whose target demographic is teenagers?